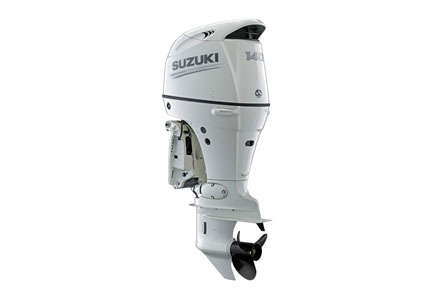 The Suzuki DF140A is light and compact while providing exceptional performance, easily giving this motor the best power-to-weight ratio in its class. An engine cover design features a large air induction port to provide maximum airflow and thus, maximum power. It's also the first four-stroke to utilize an oil cooler, ensuring that all that horsepower is available under every condition. Added up, the DF140A provides heavy-duty performance and long-lasting durability in a lightweight package.